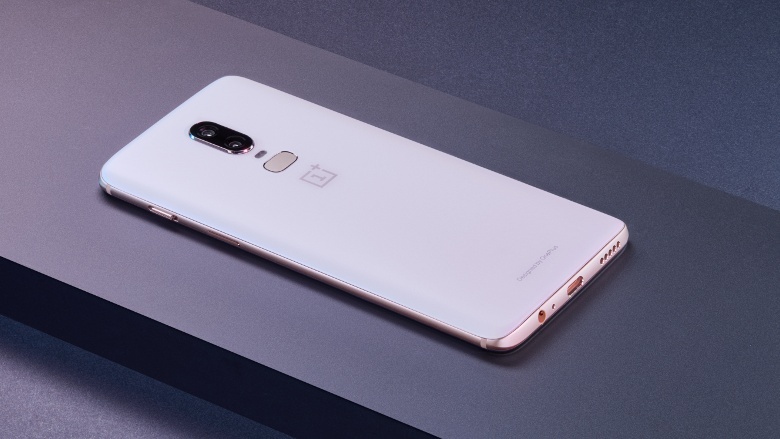 Speed is the name of the game for OnePlus this year and it has plenty of it to offer with its latest smartphone, the OnePlus 6. A ton of hardware goes into the raw capabilities of this phone, which you can see above. Speed, though, isn’t just measured in megacycles or the ability to simultaneously read and write data — though those factors are important. Access to features through buttons such as the alert slider or USB 2.0 via Type-C connection should be noted. 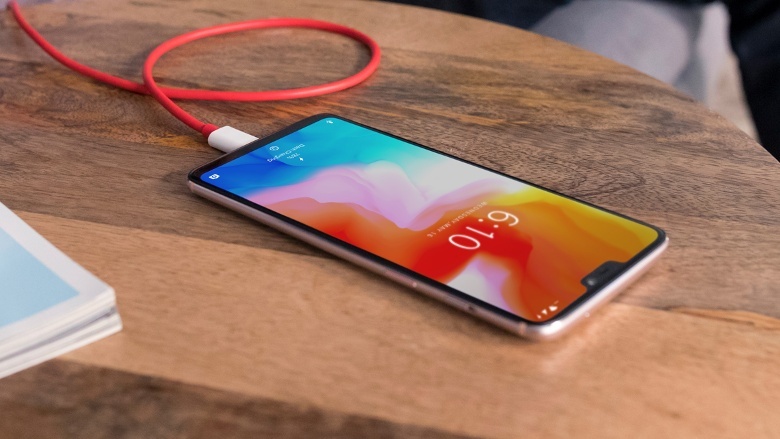 Dash Charge is also back to give a full day’s use with half an hour of charging and to quickly charge during intensive tasks like gaming and GPS navigation. It also has a headphone jack with both in-line and bottom speaker audio experiences powered by Dirac tuning. The newest version of the company’s OxygenOS skin on top of Android 8.1 also brings more speed to the apps at hand: the modified Gaming Mode has been focused further to cut down on background data use while users are hunkered down playing. More gestures have been incorporated a la Android P or iPhone X from the navigation system to screenshotting to ambient display or Screen Off Gestures. Privacy hawks will still be able to password-protect files and apps with App Locker and for those who really like saving power or creating an aura of mystique, the Dark Theme is here to stay. Speed also relates to the rate of video capture and with the OnePlus 6, it will max out at 480 frames per second — not as fast as a Galaxy S9 on a Sony Xperia XZ2, both of which can do 960fps, but it’s still fast. More generally on the optics, the rear dual-camera system incorporates color and monochrome sensors that produce merged images with more detail information than either would garner alone. AI algorithms determine certain shooting modes automatically based on the scene — the system might pull Advanced HDR to get more color out of a situation. 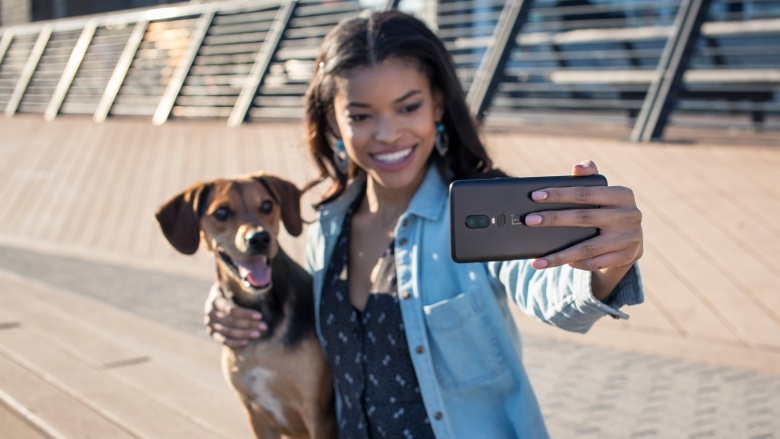 Both rear and front cameras will have Portrait Mode for exaggerated bokeh effects and cute post-processing tricks like superimposing halos and hearts. The selfie camera can also be used for authentication through Face Unlock if the back-based fingerprint sensor doesn’t suit personal tastes. 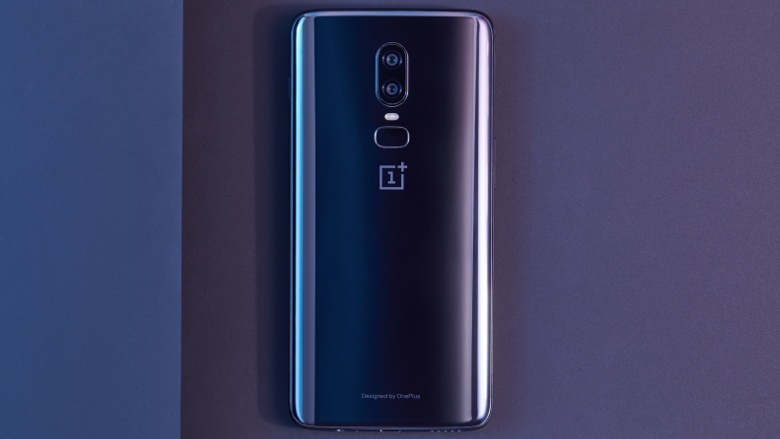 All of this is fronted by a taller-than-ever 19:9 Full Optic AMOLED display with sRGB and DCI-P3 gamut compliance and encased in different treatments of full-body glass, depending on the color, in about the same footprint as this phone’s predecessor, the OnePlus 5T. Yes. We know. It has a notch in the screen. We’ve been expecting it. OnePlus has heard the complaints. It has its reasons upon reasons for putting one in. We’ll let them speak for themselves. 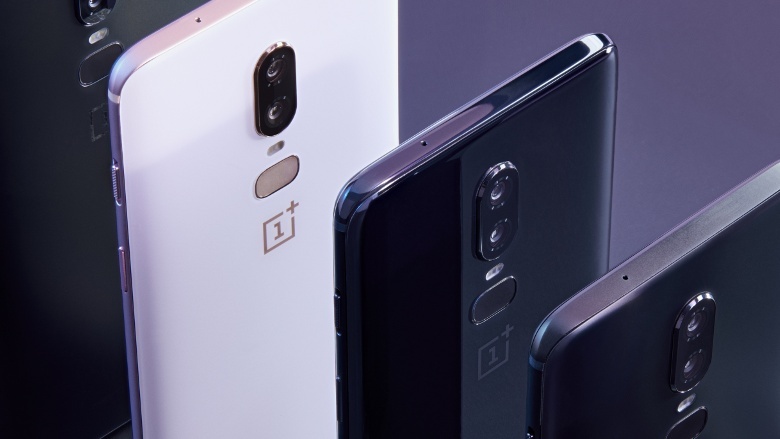 OnePlus will offer a 256GB storage option for the first time paired with 8GB of RAM with the Midnight Black color for $629/€619/£569. That color, Mirror Black and Silk White will all be available with 8GB of RAM and 128GB of storage for $579/€569/£519. 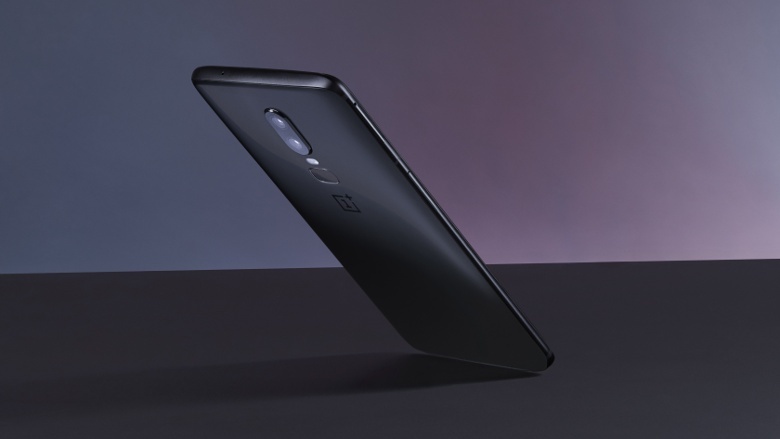 The entry-level 6GB/64GB is only available in Mirror Black for $529/€519/£469 — up $30 from the OnePlus 5T’s base model. There are dual SIM slots, but no room for microSD expansion. Sales begin in 31 of 33 specified countries on May 22, except for the Silk White color of which a limited number of units will be held for purchase on June 5. Hong Kong and Mainland China will have their own dates. The OnePlus 6 didn’t debut alone today: check out our piece on the OnePlus Bullets Wireless earbuds.